Personalize your stockings with beads and wire! 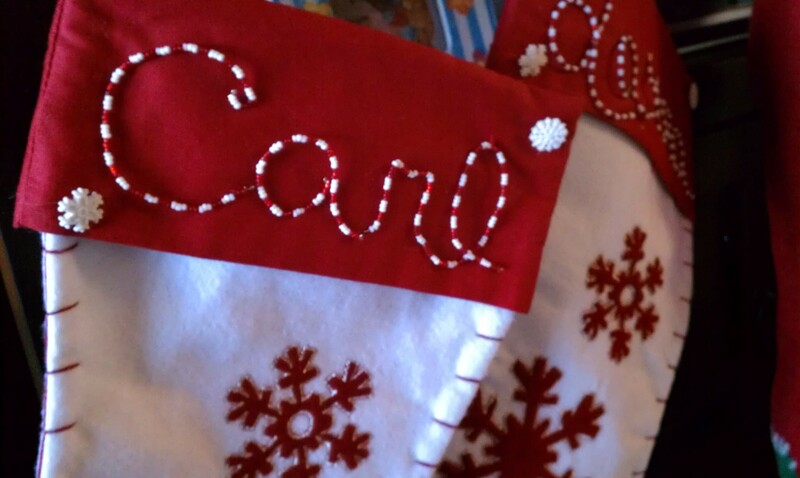 A number of years ago, a friend gave me an awesome idea of how I could personalize our stockings WITHOUT using glue and glitter like we did when I was a kid. It took a bit more work than glue and glitter, but every year I get out our stockings and smile because I love them so much. 1. Get some flexible wire. You need to bend it into letter shapes. I used cursive writing for our names. The wire should be flexible enough that you can just form it with your hands and cut it with scissors. 2. Form the letters. Include little loops at the end so that you can put thread through the loop and secure it to the stocking. 3. Put small seed beads on the wire. I used a red and white pattern to match our stocking. 4. 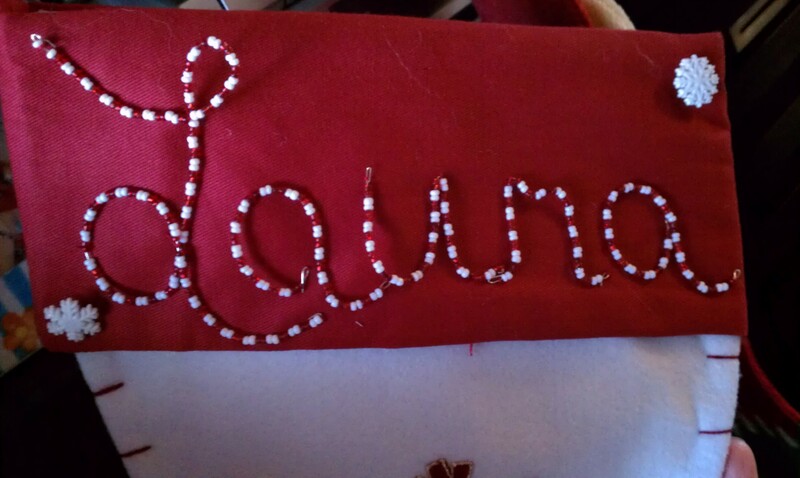 Use red (or other appropriately colored) thread and secure the letters to the stocking. I used the start and end of the letters to do this. 5. Add other buttons and beads that match. You can see the little snowflake buttons that I sewed on. 6. Hang them and enjoy 🙂 Happy Holidays!